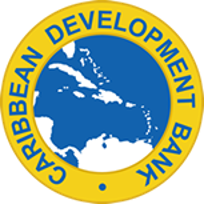 Bridgetown, Barbados – The Caribbean Development Bank (CDB) has announced a programme of assistance of USD$76.2 million for St. Kitts and Nevis for the period 2017 to 2021. Today, the bank’s board of directors approved the new strategy, which will support economic and social development, environmental protection and infrastructure enhancement. Economic development and enhanced livelihoods: The Country Strategy is designed to achieve improved macroeconomic and fiscal stability; increased productivity; competitiveness and economic diversification; and improved governance through reforms in areas such as project implementation capacity and procurement. Inclusive social development: The assistance programme will support enhanced education outcomes; closing the gender gap and increasing gender equality; and better protections for the most vulnerable groups in St. Kitts and Nevis. Environmental protection and infrastructure enhancement: Interventions delivered under the Country Strategy will seek to strengthen environmental management and climate-resilient infrastructure, including sea defences, roads, slopes, water and drainage systems, and energy infrastructure. The Country Strategy is a joint collaboration between the government of St. Kitts and Nevis and CDB. The bank consulted with stakeholders, including government officials and development partners, emphasising country ownership of the proposed programme of assistance. Salient issues that emerged during these discussions, including urgent sector priorities and ongoing interventions supported by other development partners, have been taken into account. The approved Country Strategy for St. Kitts and Nevis draws on lessons learnt and experiences from the implementation of the previous strategy (2013 to 2016). It has built-in flexibility to allow for changes in socioeconomic circumstances, as well as changes in strategic priorities of the country; will maximise the use of concessional funding as much as possible; and prioritise strong, active donor coordination to improve development results. The Country Strategy includes a mix of finance for capital projects and technical assistance. Individual projects will be appraised by CDB and, if deemed to be viable, will then be presented to the board of directors for approval, following which disbursements will commence. The 2017-2021 Country Strategy for St. Kitts and Nevis aligns with CDB’s strategic objectives of supporting inclusive and sustainable growth and development, and promoting good governance.